Dr. DiMarchi’s contribution in chemistry and related sciences consists of nearly four decades of work in academics, the pharmaceutical industry, and biotechnology. He is a Distinguished Professor of Biochemistry and Gill Chair in Biomolecular Sciences at Indiana University. He is a co-founder of Ambrx, Inc., Marcadia Biotech, Assembly Biosciences, Calibrium, and MB2 Biotech. He has served as a scientific advisor to multiple pharmaceutical companies and venture funds. He is currently chairman of the Peptide Therapeutics Foundation and an external board member at Assembly Biosciences. 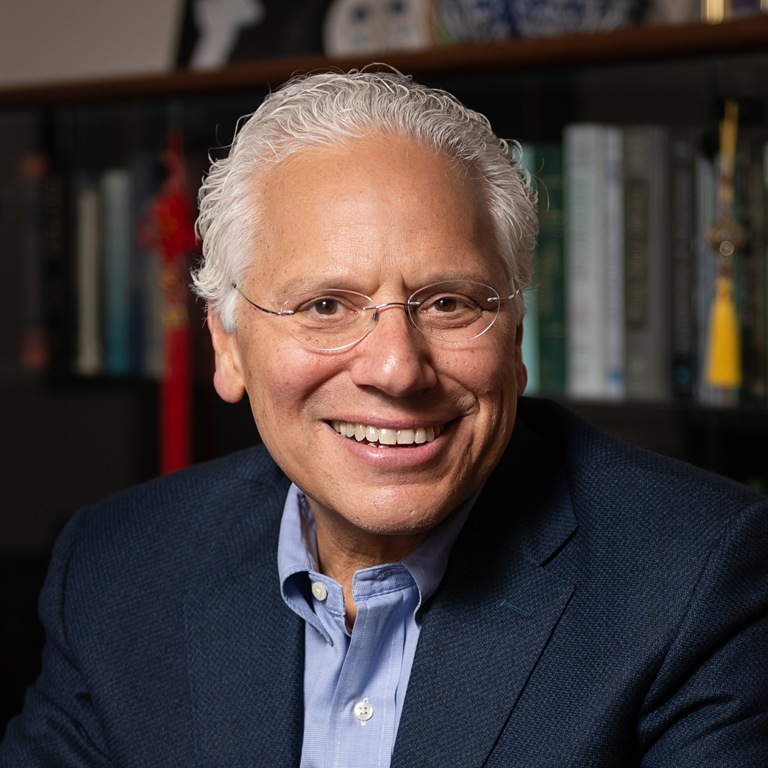 Dr. DiMarchi is a vice president at Novo Nordisk Research Laboratories and a retired group vice president at Eli Lilly and Company, where for more than two decades he provided leadership in biotechnology, endocrine research, and product development. He is widely recognized for discovery and development of rDNA-derived Humalog® (LisPro-human insulin), rGlucagon®, and Forteo®. As scientist and executive, Dr. DiMarchi also significantly contributed to the commercial development of Humulin®, Humatrope®, and Evista®. His current research is focused on developing macromolecules with enhanced therapeutic properties through biochemical and chemical optimization, an approach he has termed chemical-biotechnology. His academic research has broadened the understanding of glucagon physiology while championing the discovery of single molecule mixed agonists for the treatment of diabetes and obesity. He is identified as a top-five translation researcher by Nature Biotechnology for the years 2014 and 2015. Dr. DiMarchi is the recipient of numerous awards including the 2005 AAPS Career Research Achievement Award in Biotechnology; the 2006 ACS Barnes Award for Leadership in Chemical Research Management; the 2006 ACS Esselen Award for Chemistry in the Service of Public Interest; the 2007 Carothers Award for Excellence in Polymer Sciences; the 2009 Watanabe Award for Life Sciences Research; the 2011 Merrifield Award for Career Contributions in Peptide Sciences; the 2014 German National Erwin Schrödinger-Preis, the 2015 Meienhofer Prize; 2015 Max Bergmann Medal and the 2016 ACS Alfred Burger Career Award in Medicinal Chemistry. He was inducted into the National Inventors Hall of Fame in 2014 and the National Academy of Medicine in 2015. Schwenk, R.; Baumeier, C.; Finan, B.; Kluth, O.; Brauer, C.; Joost, H-G.; DiMarchi, R.; Tschöp, M. and Schürmann, A. GLP-1-estrogen attenuates hyperphagia and protects from beta cell failure in diabetes-prone NZO mice Diabetologia (2015) 58: 604–614. Finan, B.; Yang, B.; Ottaway, N.; Perez-Tilve, D.; Smiley, D.; Tao M.; Chabenne, J.; Zhang, Pfluger, P.L. ; Habegger, K.; Müller, T.; Uhles, S.; Riboulet, W.; Hertel, C.; Sebokova, E.; Conde-Knape, K.; Konkar, A.; Bleicher, K.; Drucker, D.; Gelfanov, V.; DiMarchi, R. and Tschöp, M. Discovery of a Potent, Balanced, and Integrated Triple Agonist of Glucagon, GLP-1, and GIP that Safely Reverses Obesity Nature Medicine (2015) 21:27-36 Volume:162. Wu, F.; Chabenne, J.; Gelfanov, V.; Mayer,, J. and DiMarchi, R. Three-chain insulin analogs demonstrate the importance of insulin secondary structure to bioactivity J. Peptide Science (2015) 21:223-30. Finan, B.; Clemmensen, C.; Zhu, Z.; Stemmer, K.; Gauthier, K.; Mueller, G.; Angelis, M.; Moreth, K.; Neff, F.; Perez-Tilve, D.; Fischer, K.; Lutter, D.; Sanchez-Garrido, M.; Liu, P.; Tuckermann, J.; Malehmir, M.; Weber, A.; Heikenwalder, M.; Jastroch, M.; Kleinert, M.; Brandt, S.; Flamant, F.; Schramm, K.; Biebermann, H.; Doering, Y.; Weber, C.; Habegger, K.; Keuper, M.; Gelfanov, V.; Liu, F.; Kohrle, J.; Rozman, J.; Fuchs, H.,; Gailus-Durner, V.; deAngelis, M.; Hofmann, S.; Yang, B.; Tschöp, M.; DiMarchi, R. and Müller, T. Selective Targeting of T3 via glucagon transport offers precision metabolic therapy without thyrotoxicity Cell (2016) 167:1-15. Mroz, P.; Perez-Tilve, D.; Liu, F.; Mayer, J. and DiMarchi, R. Native design of soluble, aggregation-resistant bioactive peptides: Chemical evolution of human glucagon ACS Chem Biol (2016) 11:3412−3420. Yang, X.; Gelfanov, V.; Liu, F. and DiMarchi R. Synthetic Route to Human Relaxin2 via Iodine-Free Sequential Disulfide Bond Formation Org. Lett. (2016), 18:5516−9. Tamargo IA, Bader M, Yazhou L, Yu S-J, Wang Y, Talbot K, DiMarchi RD, Pick CG, Greig NH Novel GLP-1R/GIPR co-agonist "twincretin" is neuroprotective in cell and rodent models of mild traumatic brain injury. Experimental Neurology, (2017) 288:176-186. Kharitonenkov A, DiMarchi R. FGF21 Night Watch: advances and uncertainties in the field Journal of Internal Medicine Journal of Internal Medicine, (2017) 281:233–246. Müller TD, Finan B, Clemmensen C, DiMarchi RD, Tschöp, MH (2017) The New Biology and Pharmacology of Glucagon Physiological reviews, (2017) 97:721-766. Thalluri K, Kou B, Gelfanov V, Mayer J, Liu F, DiMarchi R. Biomimetic Synthesis of Insulin Enabled by Oxime Ligation and Traceless "C-Peptide" Chemical Excision Org. Lett. (2017) 19:706−709. Jall S, Sachs S, Clemmensen C, Finan B, Neff F, DiMarchi R, Tschöp M, Müller T, Hofmann S, Monomeric GLP-1/GIP/glucagon triagonism corrects obesity, hepatosteatosis, and dyslipidemia in female mice Molecular Metabolism (2017) 6:440-446. Thalluri K, Kou B, Xu Y, Zaykov A, Mayer J, Gelfanov V, Liu F, DiMarchi R. Synthesis of Relaxin-2 and Insulin-like Peptide 5 Enabled by Novel Tethering and Traceless Chemical Excision Journal of Peptide Science (2017) 23:455-465. Portron A, Jadidi S, Sarkar N, DiMarchi R and Schmitt C. Pharmacodynamics, pharmacokinetics, safety and tolerability of the novel dual glucose-dependent insulinotropic polypeptide/glucagon-like peptide-1 agonist RG7697 after single subcutaneous administration in healthy subjects Diabetes Obes Metab. (2017) 19:1446-1453. Schmitt C, Portron A, Jadidi S, Sarkar N. and DiMarchi R. Pharmacodynamics, pharmacokinetics and safety of multiple ascending doses of the novel dual glucose-dependent insulinotropic polypeptide/glucagon-like peptide-1 agonist RG7697 in people with type 2 diabetes mellitus Diabetes Obes Metab. (2017) 19:1436-1445. Tschop M and DiMarchi R. Single-Molecule Combinatorial Therapeutics for Treating Obesity and Diabetes. Diabetes (2017) 66:1766-1769. Sanchez-Garrido MA, Brandt SJ, Clemmensen C, Muller TD, DiMarchi RD, Tschop MH. GLP-1/glucagon receptor co-agonism for treatment of obesity Diabetologia (2017) 60:1851-1861. Mayer J, Tschop M. and DiMarchi R. Once Blind, Now We See GLP-1 Molecular Action Cell Metabolism (2017), 26:289-291. Frias J-P, Bastyr EJ, Vignati L, Tschop MH, Schmitt C, Owen K, Christensen, RH, DiMarchi RD The Sustained Effects of a Dual GIP/GLP-1 receptor Agonist, NNC0090-2746, in Patients with Type 2 Diabetes Cell Metabolism (2017), 26:343-352. Liu F, Li P, Gelfanov, V, Mayer, J, DiMarchi R. Synthetic Advances in Insulin-like Peptides Enable Novel Bioactivity Advances in Chemical Research (2017) 50:1855–1865. Girada S, Kuna R, Bele S, Zhu Z, Chakravarthi N, DiMarchi R, Mitra P. A Multimeric Assembly of Beta arrestin-1 and Heterotrimeric G protein Gas Regulates Glucagon-Like Peptide 1 Receptor-mediated Cyclic AMP Generation at Rab5 Endosomal Compartment Molecular Metabolism (2017) 6:1173-1185. Khajavi N, Biebermann H, Tschöp M, DiMarchi R. (2017) Treatment of Diabetes and Obesity by Rationally Designed Peptide Agonists Functioning at Multiple Metabolic Receptors Developmental Biology of Gastrointestinal Hormones (2017) 32:165-182. Knerr PJ, Finan B, Gelfanov V, Perez-Tilve D, Tschöp NH and DiMarchi RD Optimization of peptide-based polyagonists for treatment of diabetes and obesity Bioorganic & Medicinal Chemistry (2017), https://doi.org/10.1016/j.bmc.2017.10.047. DiMarchi RD, Mayer J, Gelfanov V and Tschöp MH Macromolecular Medicinal Chemistry as Applied to Metabolic Disease Journal of Peptide Sciences (2018), DOI: 10.1002/psc. 3056. Brandt SJ, Mayer JP, Ford J, Gelfanov V and DiMarchi RD Controlled intramolecular antagonism as a regulator of insulin receptor maximal activity Peptide (2018), 100:18-23. DiMarchi, R.D. ; Azriel J.; Kaur, Z.; Meyers, J.; Parody, T. and Zhao, Y. Single Chain Insulin Analogs Exhibiting High Activity at the Insulin Receptor. January 27, 2015 U. S. Patent # 8,940,860. DiMarchi, R.D. ; Kou, B. and Cheng, S. Amide Based Insulin Prodrugs. February 3, 2015 U. S. Patent # 8,946,147. DiMarchi, R.D. and Kou, B. Amide Based Glucagon and Superfamily Peptide Prodrugs. March 3, 2015 U. S. Patent # 8,969,288. Bianchi, E.; Pessi, A.; Day, J.; Smiley, D. and DiMarchi, R.D. Glucagon/GLP-1 Receptor Co-agonists. March 3, 2015 U. S. Patent # 8,969,294. Vignati, L. and DiMarchi, R.D. Methods for treating metabolic disorders and obesity with a peptide comprising the amino acid sequence of SEQ ID No 146. March 10, 2015 U. S. Patent #8,975,223. DiMarchi, R.; Yang, B. and Ouyang, C. Peptide compounds exhibiting glucagon antagonist and GLP-1 agonist activity. March 17, 2015 U. S. Patent # 8,980,830. DiMarchi, R.D. and Yang, B. Glucagon antagonists. March 17, 2015 U. S. Patent # 8,981,047. DiMarchi, R.D. and Smiley, D.L. Glucagon analogs exhibiting physiological solubility and Stability. April 28, 2015 U. S. Patent # 9,018,164. DiMarchi, R.D. and Tao, M. GIP-based mixed agonists for treatment of metabolic disorders and obesity. June 23, 2015 U. S. Patent # 9,062,124. Sheffer, J.; Norman, T.; DiMarchi, R.D. ; Putnam, A-M.; Hays, A.; Feng, T.; Chu, S.; Krawitz, D. and Cho, H.S. human plasma polypeptide or Fc scaffolds and uses thereof are provided. July 7, 2015 U. S. Patent # 9,074,010. DiMarchi, R.D. and De, A. Ester-Based Peptide Prodrugs. July 28, 2015 U. S. Patent # 9,089,539. DiMarchi, R.D., Yang, B. and Finan, B. Glucagon superfamily peptides exhibiting nuclear hormone receptor activity. September 8, 2015 U. S. Patent # 9,127,088. DiMarchi, R.D. and Zhang, L. Glucagon superfamily peptides exhibiting G protein receptor activity. September 29, 2015 U. S. Patent # 9,145,451. DiMarchi, R.D. and Tao, M. GIP receptor-active glucagon compunds. October 6, 2015 U. S. Patent # 9,150,632. DiMarchi, R.D. and Smiley, D.L. Glucagon/GLP-1 receptor co-agonists October 13, 2015 U. S. Patent # 9,156,902. DiMarchi, R.D. and Ward, B. Glucagon analogs exhibiting GIP receptor activity February 2, 2016 U. S. Patent # 9,249,206. Cho, H.S. ; Daniel, T.O. ; DiMarchi, R.D. ; Hays, A-M.; Wilson, T.E. ; Sim, B. and Litzinger, D.C. Modified human four helical bundle polypeptides and their uses. February 16, 2016 U. S. Patent # 9,260,472. DiMarchi, R.D. and Smiley, D.L. Glucagon/GLP-1 receptor co-agonists April 12, 2016 U. S. Patent # 9,309,301. DiMarchi, R.D. Glucagon analogs exhibiting GIP receptor activity May 17, 2016 U. S. Patent # 9,340,600. Day, J.; Patterson, J.; Chabenne, J.; DiMarchi, M.; Smiley, D. and DiMarchi, R.D. Glucagon/GLP-1 Receptor Co-Agonists. September 20, 2016 U. S. Patent # 9,447,162. DiMarchi, R.D. and Tao, M. Glucagon antagonist-GIP agonist conjugates and compositions for the treatment of metabolic disorders and obesity. November 8, 2016 U.S. Patent # 9,487,571. DiMarchi, R.D. and Li, P. CTP-Based insulin analogs for treatment of diabetes February 21, 2017 U.S. Patent #9,573,987. DiMarchi, R.D. and Ward, B. Glucagon analogs exhibiting GIP receptor activity March 7, 2017 U. S. Patent #9,587,005. DiMarchi, R.D. and Zhao, Y. Insulin analog dimers March 14, 2017 U. S. Patent # 9,593,156. Meehl, M., DiMarchi, R. and Li, P.O-Glycosylated Caroxy Terminal Portion (CTP) peptide-based insulin and insulin analogues July 18, 2017 U. S. Patent # 9,707,276. DiMarchi, R.D. and Smiley, D.L. Glucagon/GLP-1 receptor co-agonists September 12, 2017 U. S. Patent # 9,758,562. DiMarchi, R.D., Yang, B. and Finan, B. Glucagon superfamily peptides exhibiting nuclear hormone receptor activity. October 10, 2017 U. S. Patent # 9,783,592. DiMarchi, R.D. and Tao, M. GIP receptor-active glucagon compounds. October 17, 2017 U. S. Patent # 9,790,263. DiMarchi, R.D., Smiley, D.L., Bleicher, K.H. and Kitas, E. A. Analogs of Glucagon Exhibiting GIP Activity January 16, 2018 U. S. Patent # 9,868,772. I wanted to create the future, not just apply the discoveries of the past. After four decades of innovation as a biochemist, Richard DiMarchi has amassed more than 100 patents, co-founded five startup companies, and been inducted into the National Inventor's Hall of Fame and the National Academy of Medicine. His accomplishments include serving as Vice President of leading-edge pharmaceutical companies such as Novo Nordisk and Eli Lilly, a former chair of IU's Chemistry department, and an advisor to numerous life science firms. Despite all these titles and accolades, however, the most rewarding acknowledgement DiMarchi receives comes at the most mundane moments. "Sometimes I’ll be sitting next to someone on a plane, and they’ll pull out their prescription for Humalog®," he says, referring to an insulin analog for the treatment of diabetes that he designed at Lilly Research Labs. "Or, just recently, I was waiting in line for a rental car and someone noticed the Lilly logo on my luggage. He told me his wife had broken her hip and was about to start Forteo®." Forteo® is another drug DiMarchi had a seminal role in developing while at Lilly; it reverses the effects of early-onset osteoporosis by stimulating new bone growth. Seeing these therapies at work in people’s lives is an unexpected thrill for DiMarchi, who thought he gave up the chance to witness individual health gains when he chose to pursue a career as a laboratory scientist. "I wanted to create the future, not just apply the discoveries of the past," he explains of his decision. "I thought that would mostly happen inside the lab. Meeting people whose lives have been changed is an unexpected benefit." DiMarchi's path has been in many ways unplanned; he didn’t grow up dreaming of miracle molecules. As a New York City child of the '50s and '60s, he had one thing on his mind: baseball. "Anyone who was in New York at that time knew that the Yankees were something special," he says. DiMarchi was a capable player—he still displays a photo of himself in uniform among the chemistry models and professional awards on his office bookshelf—but he was also a pragmatist, recognizing that his abilities were insufficient for an athletic career. "I came to the realization that one needs to make a living," he recalls. "It was clear I had more quantitative skills rather than linguistic or artistic. I found chemistry to be at that interface between academic, theoretical science and that which could be translated into something of commercial worth." Following an undergraduate chemistry degree from Florida Atlantic University, DiMarchi completed a Ph.D. in protein chemistry at IU. He returned to New York for a postdoctoral fellow at the Rockefeller University to pursue advanced training in peptide chemical synthesis. His drive to remain at the forefront of innovation propelled DiMarchi to Lilly in the 1980s, when biotechnology was just emerging. In this atmosphere of ingenuity, he pushed the field still further by dismantling the traditional divide between biological and synthetic chemistry. "With biotechnology, you use organisms to produce compounds; with traditional synthetic technology, laboratory chemists produce the compounds," he explains. "The third alternative is what I call 'chemical biotechnology': we use organisms to produce the synthetic compounds." This radical marriage of approaches has enabled the sustainable mass production of drugs like Humalog®, which now reaches millions of patients nationwide. After 22 years with Lilly, however, DiMarchi felt excessively constrained. "There were ideas that I held that didn’t immediately fit at the commercial level," he says. "It's the universities that do the basic exploring that allow us to form hypotheses, which can then be experimentally validated in a biotech company and subsequently developed and eventually commercialized at traditional pharmaceutical companies. My primary interest has always resided at the initial stage of discovery, with a strong desire to see the product of our research translated by others in later stages." Joining IU as a Gill Chair offered DiMarchi the ideal opportunity to shift into this creative phase. He focused initially on developing an injectable solution for diabetics that could be used to counter a hypoglycemic attack. This innovation, which has led to a glucagon "pen" analogous to injection technology used to administer epinephrine, turned out to have unexpected applications. "Once we had identified a glucagon analog suitable for formulation as a stable solution, we now had the ability to administer the drug consistently over an extended time period," he says. "We found in animal studies that it subtly suppressed appetite, but, more importantly, profoundly stimulated energy utilization to result in significantly lowered body weight. We realized we had a molecule that might be appropriate, after further structural refinement, for treating obesity." The drug candidate, which is now in phase II clinical trials, has demonstrated yet another therapeutic capability: "These drugs that were designed to improve metabolism are showing an ability in animal studies to enhance cognitive function," DiMarchi says. "There are indications that it can minimize the adverse effects of Alzheimer's, minimize traumatic brain injuries, and reduce the impact of Parkinson's disease." As DiMarchi's research progresses toward greater convergence with that of his neuroscience colleagues in the Gill Center, he has encountered yet another surprising benefit. "I really value the camaraderie within the Center and the laboratory," he says. "In some ways I've found the sort of team spirit and constructive competiveness I witnessed decades ago in baseball."